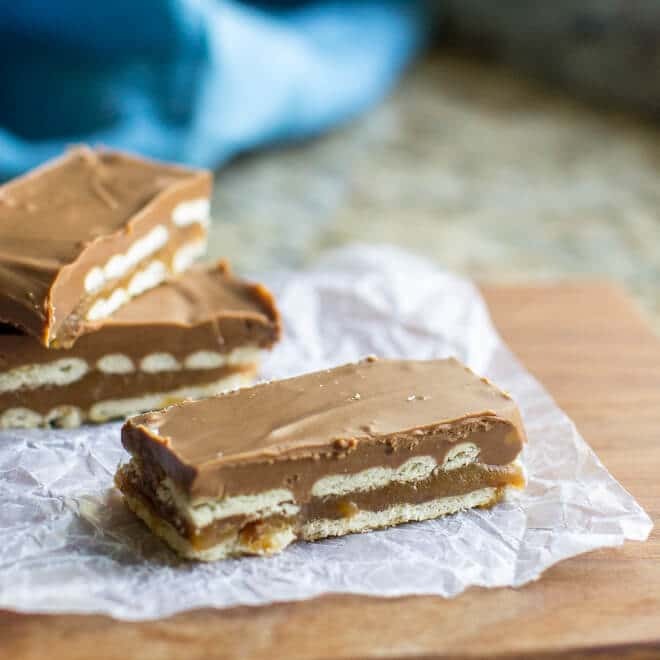 There are lots of Homemade Twix Bar recipes out there, but the vast majority of them are made with a layer of shortbread on the bottom. 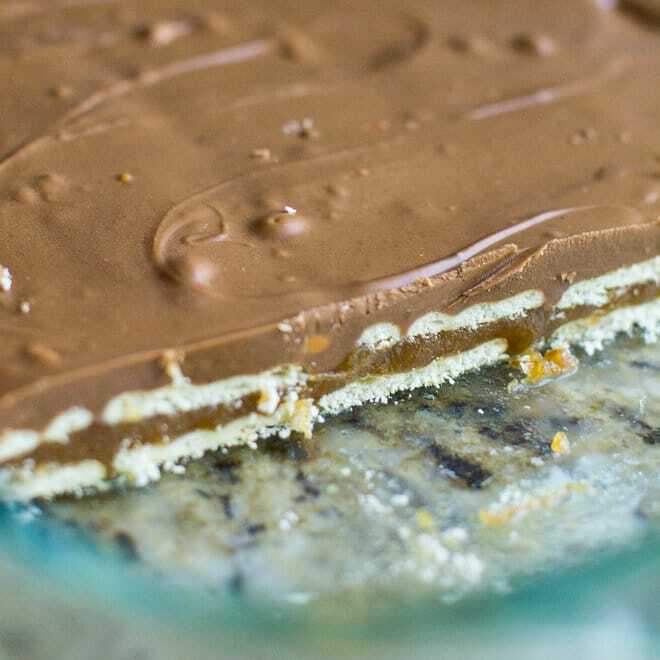 My version is made with club crackers instead of shortbread, so these no-bake treats are ready even faster. 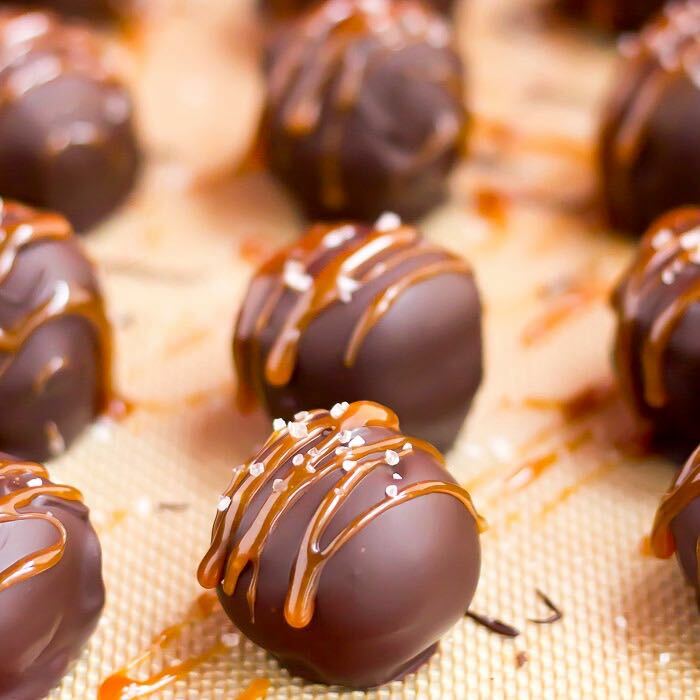 My stove-top caramel sauce is ready in 5 minutes and instead of just chocolate topping, I used a mixture of chocolate chips, butterscotch chips, and peanut butter. 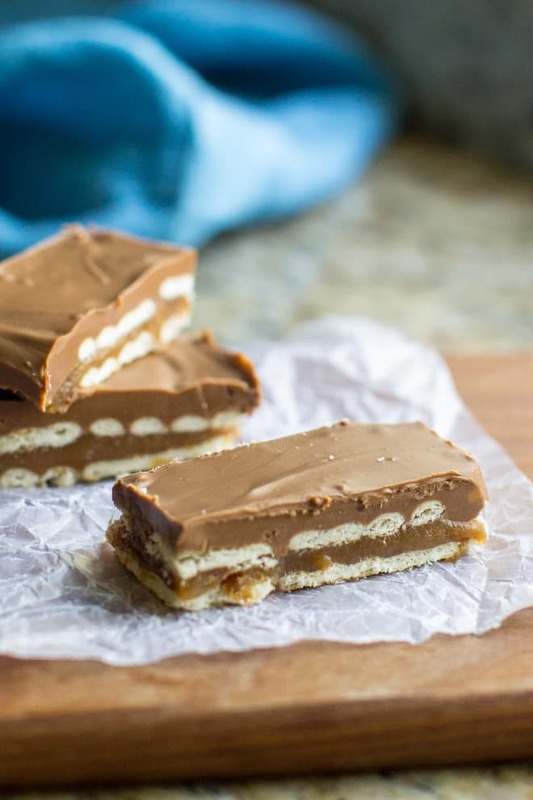 These Twix Bars are simply the best! I got this recipe from Kathy, the mom of my BFF Jessica. These ladies have all the best Minnesota-based recipes, and I’m so grateful to share them here. 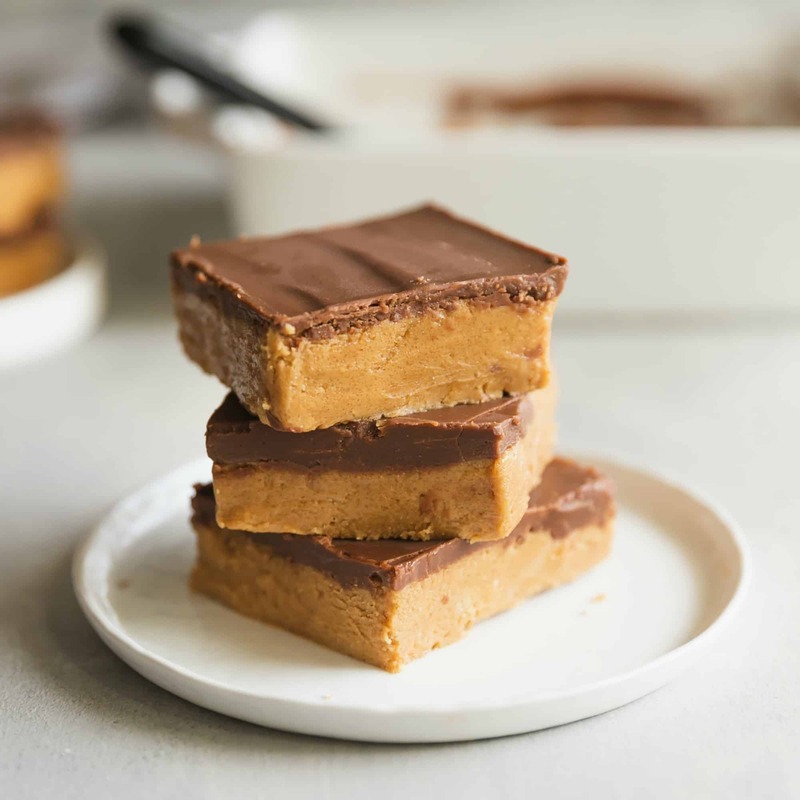 Whether you need a new candy for your Christmas plate or a treat for a birthday party, these Homemade Twix Bars are quick and easy with mere minutes of hand’s on time. Did I mention how taste they great? Prepare to become addicted! In a 3-quart saucepan over medium-high heat, bring crumbs, brown sugar, butter, milk, and sugar to a boil. Reduce heat slightly and boil 5 minutes. Meanwhile, line the bottom of 9-inch by 13-inch pan with Club crackers. Spread the boiled sugar mixture over top of crackers. Top with another layer of Club crackers. In a small saucepan over medium heat, melt chocolate chips, butterscotch chips, and peanut butter. Stir until smooth (do not whip). Spread evenly over crackers. Cool at least 30 minutes and cut into 28 bars. Since when is there peanut butter in a Twix? There isn’t. But when used in conjunction with the cracker it mimics the flavor of a wafer. Sorry for the confusion! I am a blind woman who absolutely loooooooooooves to cook! And I’m one of those girlies who loooooooooooooves candy bars! They’re something you absolutely just can’t resist! That being said, I’d like to try making your recipe for Twix candy bars. My American sister (I’m Australian, thank you), whose name is Amber, sent me some squares of cocoa butter, which she says you can use for melting chocolate, and it becomes solid at room temperature. I wonder if that stuff will work for melting the chocolate for these candy bars. Also, out of curiosity, the store-bought version of Twix bars usually has two in a wrapper, and they’re often stuck to each other. How would I get that result with these ones?